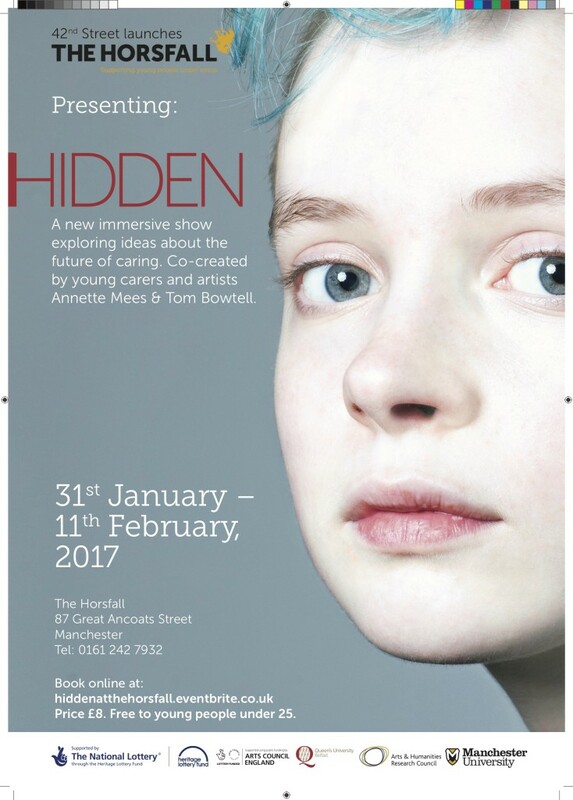 The HIDDEN immersive theatre performance launches this evening at The Horsefall in Manchester. The play written by Tom Bowtell and directed by Annette Mees explores the world of young carers. I was hired as the sound designer for this production and found the whole process incredibly exciting. I worked with Tony Doyle to create a spatial audio mix for this performance. You move through three floors of interactive engagement with sound, lighting and characters, experiencing worlds within worlds as you debate the potential of machines to replace carers in the future. This play asks a lot of questions about the ethics of caring and whose job it is to be responsible for disabled or mentally ill family members. A really exciting project. Another interesting addition to this production is the use of the LiveShout application to broadcast one world of this play, the world of the carers as they monitor the journey of the audience. In this performance, it is their responsibility to ask what choices you made that concern their experience and commitment to caring. I spent several weeks working with the young carers exploring sound design and the use of applications for performance, an element of this is located online through LiveShout. To listen in to this go to the Locus Sonus website and find the HIDDEN project at 7pm each evening in Manchester. The play runs from the 1st of February to the 11th, except Sundays. There you can earwitness this space with the teens.